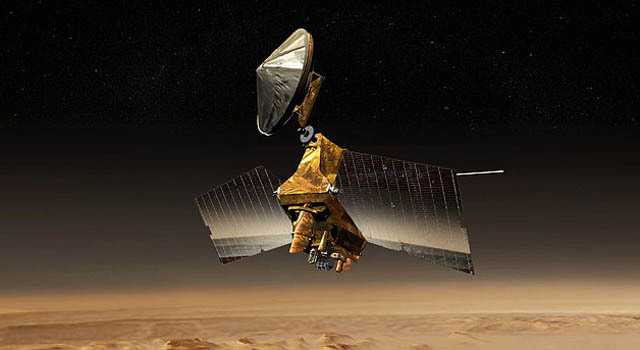 "Operators of NASA's Mars Reconnaissance Orbiter are resuming use of the mission's highest resolution camera following a second precautionary shutdown in two weeks. The High Resolution Imaging Science Experiment (HiRISE) instrument powered off on Aug. 27 and again on Sept. 6. In each case, commanding for an observation was not properly received by the memory module controlling one of the instrument's 14 electronic detectors (CCDs, or charge-coupled devices). Between those two incidents, the camera successfully resumed observations for five days using its other 13 detectors. The second entry into the power-off, thermally protected mode occurred during an attempt to add use of the 14th detector. The camera is resuming observations with 13 detectors today while plans are developed for other diagnostic tests. "